Many People combine a teenage genius from Romania of lego, and create lots of things, Forty Australia patrons and over 500,000 legos, the answer is a life size the lego car, which running on road cost tens of thousands of dollars to make. 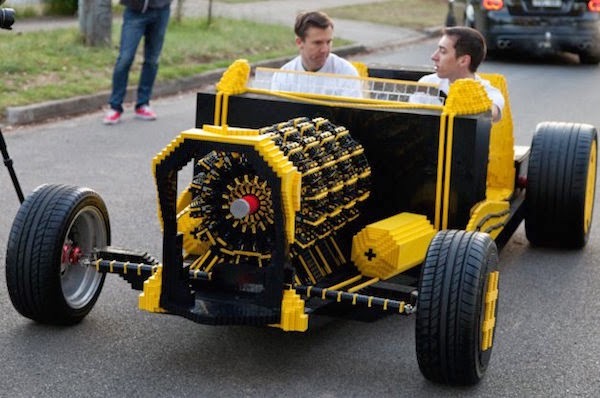 And the end result is a magnificent life size lego car including the engine. Find the 10 best incredible LEGO Creation around the world and share with your friends.